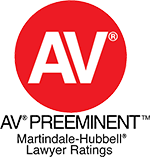 If you’ve been charged with a crime, you are facing some of the best lawyers in the country. 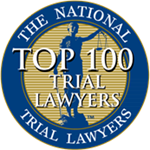 State attorneys, federal attorneys and other prosecutors are often keen trial lawyers who know how to get a conviction. Whether you are facing a seemingly simple misdemeanor or a major felony, you could lose your freedom, pay hundreds of thousands in fines and lose many other rights depending on the crime. The Blanch Law Firm is comprised of a skilled criminal defense attorney team, and many of our senior attorneys spent years working at District Attorney’s Offices, giving them a unique insight into government investigations and prosecution tactics. Our results driven approach to defending criminal cases involves assigning five or more members of our criminal defense attorney team to every case, which assures the best outcome possible for our clients. Our successful case results including defending a client involved in the Elliot Spitzer case involving an interstate prostitution ring and other high profile, often international cases. When hiring a criminal defense attorney, it’s vital to understand that each criminal case requires a particular skill set. Hiring “any old attorney” to defend something as seemingly minor as a DUI/DWI could backfire; a DUI stays on your record for quite some time. Each criminal charge should be treated as a potentially life altering situation, and so the criminal defense attorney you choose should be highly skilled, as well as experienced. Each of these is an important requirement, because if your case winds up going to trial, you will face a prosecutor who is determined, who has endless resources and who will have little regard for your future. 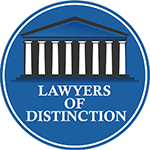 At The Blanch Law Firm, our highly sought after criminal defense attorney team is recognized for their excellence. Our successful track record speaks for itself, and our dedication to the well being of our clients is second to none. We give each client the attention and effort they deserve, and we supply top-notch counsel before, during and after the criminal trial.